This serum is the fifth and ultimate level in the Environ premium Vitamin STEP-UP SYSTEM. It contains the optimum concentration of vitamins A, C and E as well as antioxidants. 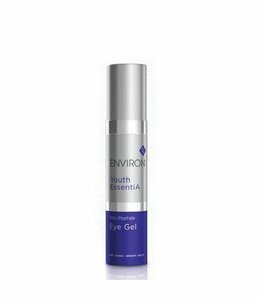 This serum is the fifth and ultimate level in the Environ premium Vitamin STEP-UP SYSTEM. It contains the optimum concentration of vitamins A, C and E as well as a powerful combination of antioxidants, peptides and clinically researched ingredients including Juvinity and Malt Secrets, this serum helps combat the visible signs of aging to create the appearance of even, smoother and more youthful-looking future-proofed skin. 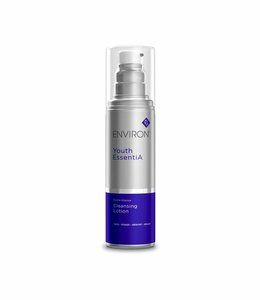 Contains the signature Environ complex of vitamins A, C as well as E and antioxidants to help combat the effects of free radicals and improve the overall appearance of your skin. Vitamin A is known as the skin normalizing vitamin - it forms the basis of a normal, healthy and well-functioning skin and therefor helps to promote healthy looking skin. Vitamin E is an antioxidant and moisturizer with excellent skin conditioning effects and helps to rehydrate and moisturize skin, leaving it feeling softer. Clinically researched ingredients including Juvinity and Malt Secrets help to future-proof skin, minimize the appearance of fine lines and wrinkles and protect the skin from the effect of free radical damage. 1. Pre-cleanse, cleanse and tone with your preferred Environ products. Nous sommes désolés, ce produit n'est pas en stock actuellement. 2. 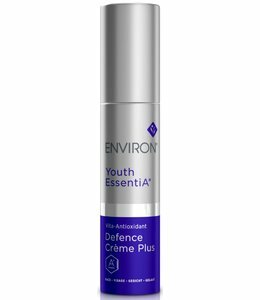 Apply Intensive Serum 4 Plus in combination with Defence Crème Plus. 3. Use morning and evening.